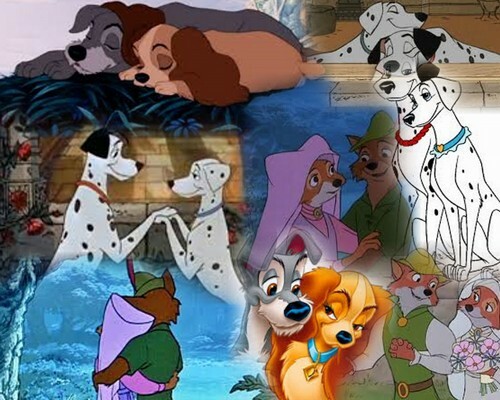 My 3 fav Disney couples . 1: Lady The Tramp. 2: Robin Hood Maid Marian. 3: Pongo Perdita. HD Wallpaper and background images in the Classic Disney club tagged: photo. This Classic Disney fan art might contain anime, comic book, manga, and cartoon.